Bungie Doesn't Consider Halo: Reach to be "Halo 4"
Halo: Reach will not be just another flash-in-the-pan action shooter if Bungie has a say in the matter, and it does. Bungie really seems to want to distance Halo: Reach as far as possible from previous entries in the Halo series. The company has already said that the story of Halo was holding them back, and more details in the latest issue of Edge Magazine drive home the fact that Halo: Reach is being created as its own completely separate entity. Halo: Reach executive producer Joseph Tung told Edge: "Halo: Reach for us is not Halo 4. It's not a continuation of the Master Chief story, nor is it the start of a new trilogy. For us, it's a completely standalone game." 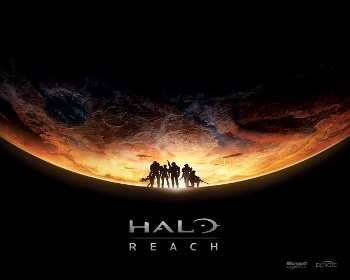 Bungie has been saying that Reach is a standalone project for a while, but that's a pretty definitive quote. As for Bungie's reasoning, creative director Marcus Lehto adds that Halo: Reach is meant to be "a culmination of a decade of our efforts building Halo titles." One key difference in Halo: Reach will be the enemies — such as the Elite which is being "built from the ground up" — that are designed to be more nightmarish and less like action figures. This is in addition to the new design of the game's weaponry, which will be more brutal and even leave burning residue on armor. Squeezing more power out of the Xbox 360 is another of Bungie's focuses for Reach. Bungie says it's "bending the Xbox as far as it'll bend," and Lehto confirms the company is "taking every advantage of everything on the CPU and GPU, and every bit of memory in order to produce the look of Reach beyond anything of Halo 3." Community director Brian Jarrard says the AI has improved as well and is "super robust." Lehto agrees, hitting Uncharted with a zinger in the process: "The difference between the fully scripted experience, like Uncharted, or the organic experience you can receive in a Halo game speaks to its longevity. You can keep playing single-player missions over and over again and get a different experience." Oh exclusive IPs, can't you just get along? There will also be an as of yet unrevealed reason to replay Halo: Reach's single player missions, according to Tung. "Without giving anything away, there's certainly some cool stuff we're doing in Reach that will encourage people to replay the campaign. There are going to be some big surprises in the campaign," he says. Halo: Reach's single-player mode may hold more secrets than simply collecting skulls.